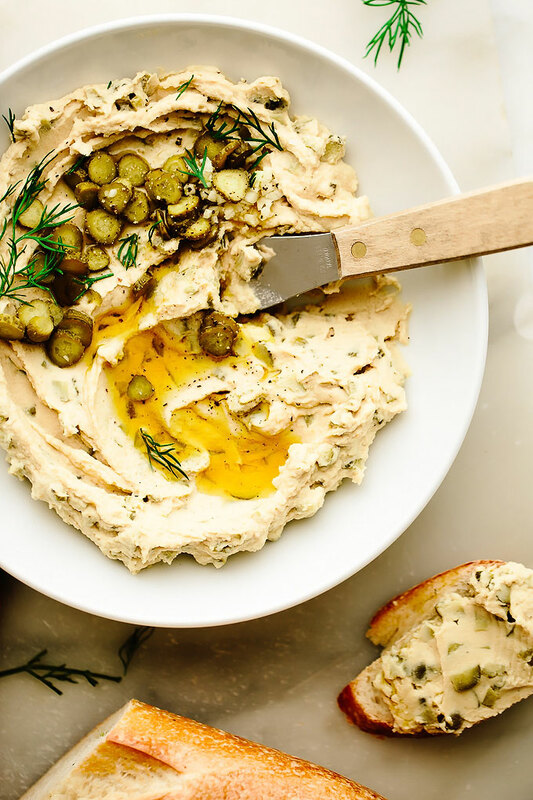 This simple vegan dill pickle hummus requires just five ingredients (plus s + p). Chickpeas are blended until smooth along with pickle juice, tahini, garlic, salt, and pepper. Then, chopped dill pickles are folded into the mix. 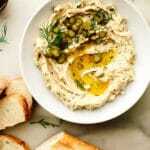 This tangy, zesty hummus is excellent slathered over crusty french bread. Not too long ago, I had a conversation with a friend in which we realized we were two of the select few people in the world who love to drink pickle juice straight from the jar. Any other pickle juice drinkers out there? Something about that zippy, vinegary tang draws me in for actual sips (sometimes gulps) of the salty, briny, pickled liquid. Clearly, I have a thing for pickles. But for some reason, this recipe idea sat untouched on my “to test” list for nearly three years. I’m not sure why it took me this long to get around to it—you would have thought pregnancy would have given me the final kick of pickle inspiration—but regardless, the time has come and it was so worth the wait. 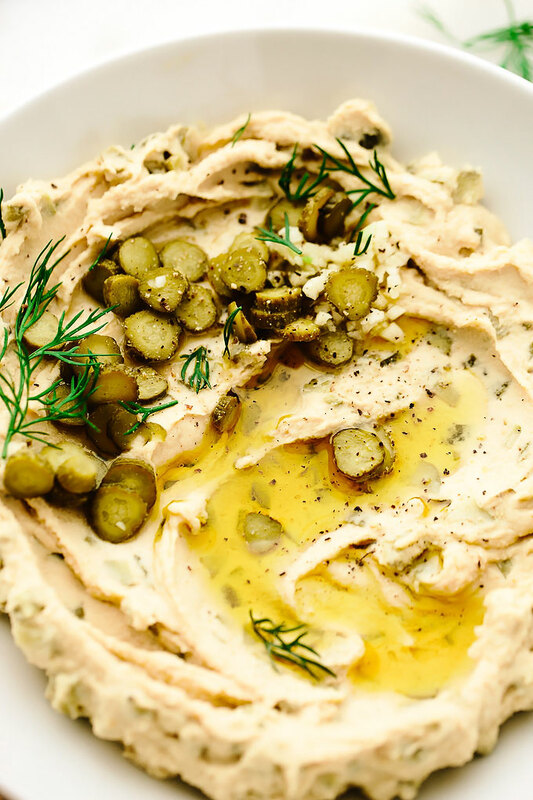 This dip combines everything I love about hummus (creamy, protein-packed, spreadable, simple) with everything I love about pickles (see above pickle-y adjectives—e.g., briny, tangy, zippy). It’s good meets good in dip form. Canned chickpeas (or freshly cooked if you’re feeling fancy). 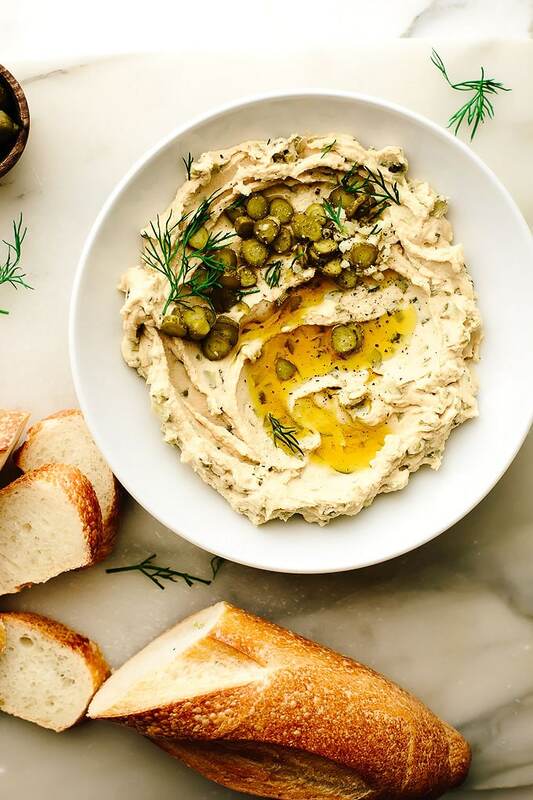 To make this simple dill pickle hummus, you’ll add chickpeas to a food processor along with pickle juice, tahini, a clove of garlic, salt, and pepper. To make a super smooth hummus, pop the chickpeas out of their skins one-by-one. This step adds about 10 minutes but is well worth the small hassle. While the hummus base processes, dice a half cup of small dill pickles. I recommend using cornichons—their tiny size means their seeds are even tinier. 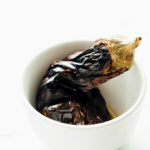 Plus, they’re exceptionally tangy and lend a pickle flavor to the hummus that *POPS*. Alternatively, you can use baby dill pickles. Once the pickles are diced, fold them into the hummus base. And that’s it. 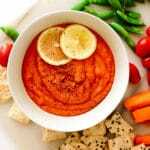 I recommend serving this easy vegan hummus with sliced french bread, crackers, and veggie sticks! For extra creamy hummus, remove the skins from the chickpeas by "popping" them between your pointer finger and thumb. Discard the skins. Add the chickpeas, pickle juice, tahini, garlic, sea salt, and black pepper to a food processor. Process for 2–3 minutes or until completely smooth. Transfer the hummus to a small bowl, and stir in the pickles. always looking for fun and unique hummus flavors! These photos are remarkable! I seriously need to try this one! Thx for finally getting around to this one. Thank you, June!! Such kind words. Hope you enjoy the recipe! I’m intrigued but can you list the exact pickles you used? I think the tastes vary by type and brand. I used Whole Foods Cornichons. Maille Cornichons also work well. You had me at “Pickle” Oh my gosh, this is soooo delicious! Definitely my new favorite hummus! 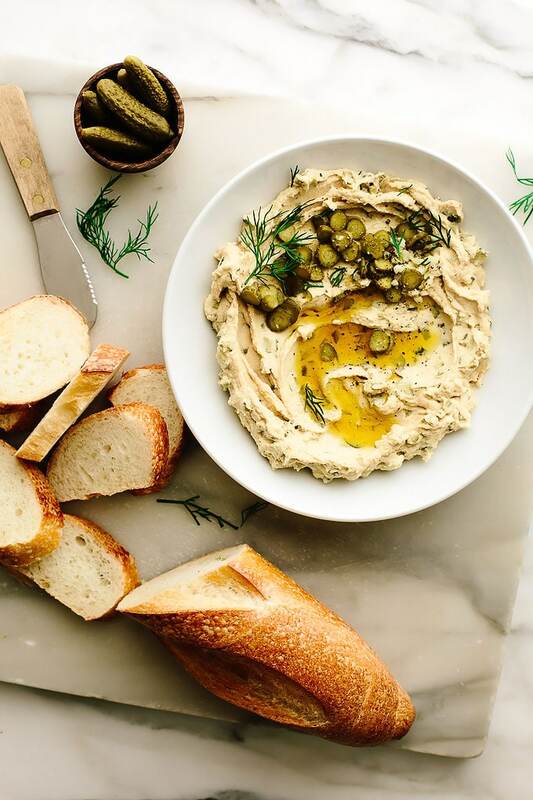 When I first learned how to make hummus, it was served with jalapeno dill pickles which I cannot find anymore. They were, easily, my all-time favorite hummus conveyance method. 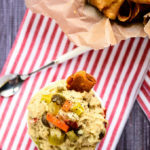 My husband asked me to make this version for him and since I make hummus very regularly with a consistent track record I re-read the recipe a few times because I felt like I was missing something. 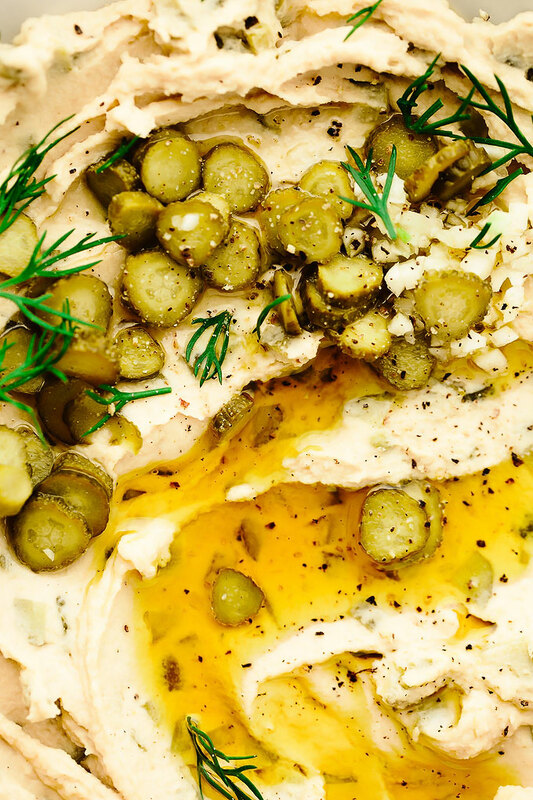 This hummus recipe, as is, is incredibly bland and dry, even after adding the pickles. 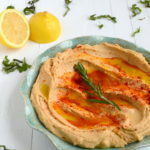 It is missing two primary ingredients of basic hummus: olive oil and lemon juice. The amount of tahini is also miniscule. Too much tahini makes it taste like peanut butter but this little amount of tahini made it far too paste-like. Fortunately, the adjustments were easy to make and I think he’ll be pleased with the result. Hi, Adrienne! I’m so sorry to hear that you didn’t enjoy the recipe as written. Everyone’s tastes are different. That being said, I’m quite particular about my hummus, and I’m surprised to hear that yours turned out bland and dry. 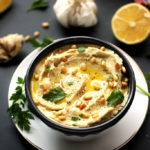 Using pickle juice as the acid (in place of lemon juice) helps to create a smooth and creamy texture as the vinegar helps to break down the chickpeas. 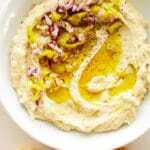 As for the olive oil, I receive lots of requests for oil-free recipes (especially hummus), and after testing with and without oil felt that this one could stand on its own without it. But again, everyone’s tastes are different, and I respect and appreciate yours. Happy cooking! just made this on my morning coffee break; its nice to live right close to work. i thought it was creamy and flavorful! i have a lot of dill in the garden right now so i added a bunch to the food processor as well. very creative as i am a pickle lover and think this will be a new fridge staple . Never thought to mix pickles and hummus together, it was super delicious! Thanks for sharing! So glad you enjoyed the recipe, Sam!